Nissan's first "gamer-to-racer", Lucas Ordonez, has been made the official test driver for the ZEOD RC electric Formula One car program. Ordonez was the 2008 winner of the first ever Nissan PlayStation GT Academy competition. Nissan's ZEOD RC program is an electric race car that was introduced earlier this year and that will debut at next year's Le Mans 24 Hours. 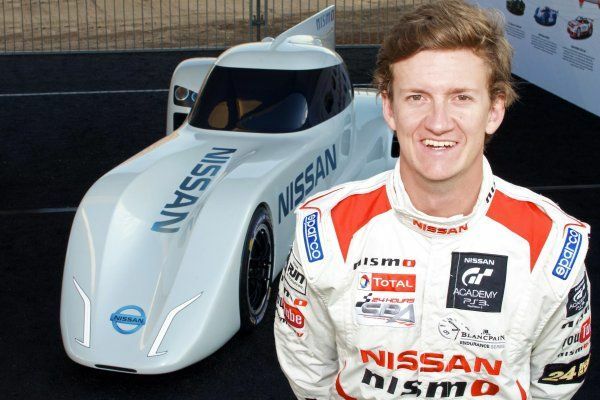 The NISMO racing team has officially announced that Lucas Ordonez, who won the 2008 game playing competition sponsored by Nissan and PlayStation for GT racing, will be the official test driver for the DeltaWing-style Formula One car. Starting next month, test runs of the ZEOD RC will begin on Nissan's development track with Ordonez behind the wheel. The 28-year-old won the inaugural Nissan PlayStation GT Academy competition in 2008 and has gone on to become one of the star Nismo Athletes with Le Mans 24 Hours podiums, a championship win in the 2011 Intercontinental Le Mans Cup and a third place recently at the Spa 24 Hours for Nissan with an all-gamer line-up of GT Academy graduates. "It's unbelievable. After working with Ben Bowlby and the guys developing the Nissan DeltaWing for Petit Le Mans, it's really amazing to have this great news," Ordóñez said. Nissan's Director of Global Motorsports Darren Cox believes that Ordóñez will make a valuable contribution to the development of the new ground-breaking race car. "The fact that Lucas didn't enter the sport the traditional way through karting and junior formulas actually makes him ideally suited for the development role for the Nissan ZEOD RC," Cox said. So far, Nissan has not announced who the ZEOD RC's race driver will be, officially, but this may indicate that Ordonez will take on that role as well.